How do I get back into Windows 10 computer if my Microsoft account is compromised or hacked? Can I switch back to a local account after forgetting Microsoft account password? 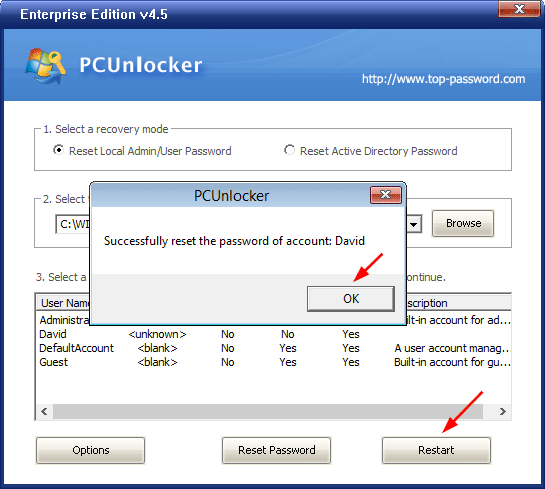 With PCUnlocker Live CD you can simply change your locked Microsoft account to local account before logging into Windows 10. If your Windows 10 Microsoft account is locked out, you won't be able to access your computer. 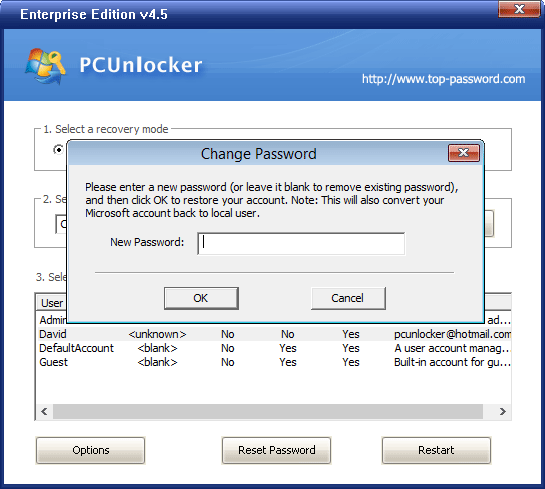 To create PCUnlocker Live CD, you need to use another computer, which could be a Windows-based or Mac-based computer borrowed from your friends or family. 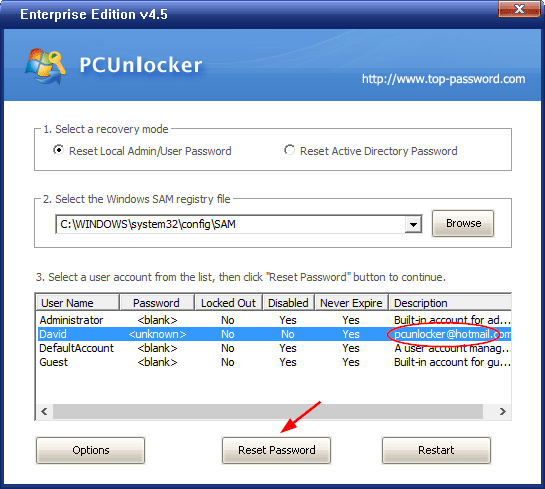 Download the package of PCUnlocker Enterprise and save it to your local hard drive. The downloaded file is a self-extracting .zip archive. Unzip it and you'll get the pcunlocker.iso file. In order to burn the ISO file to a CD, you can download and install the freeware ISO2Disc. If you're using a Mac computer, just use the built-in Disk Utility for burning disc. After launching ISO2Disc, click on the Browse button to locate your ISO image file, select the Burn to CD/DVD option and select the CD/DVD recorder from the list. Click on Start Burn to begin burning disc. This could take about one or two minutes. Insert the PCUnlocker Live CD into the optical drive of your locked computer. Press a key (F2, Del, F12, etc) to access the Boot Menu for selecting to boot from CD. If you boot from the CD successfully, the computer will run the WinPE recovery environment from memory and then start the PCUnlocker utility automatically. By default, the program lists all local user accounts that it can find on your computer. As you can see below, the email address of my Microsoft account is listed in the Description column of linked local account David. Select the linked local account and click on Reset Password button. The program will convert your locked Microsoft account to local account. You can set a new password for the converted local account. Enter a new password and click OK.
You'll get the message saying your password is reset successfully. Click OK, then Restart and remove the CD. The system goes directly to Windows 10 desktop without a user password prompt, or you can click the user icon of your converted local account to login without password. No need to format or reinstall Windows 10 in case you're locked out of Microsoft account. I hope this will save you lots of time and headaches.